Over the last few years, we have reviewed a number of interesting web tools and applications teachers and students can use to create digital magazines and newspapers. In today’s post we are bringing to your attention another important tool in this regard. 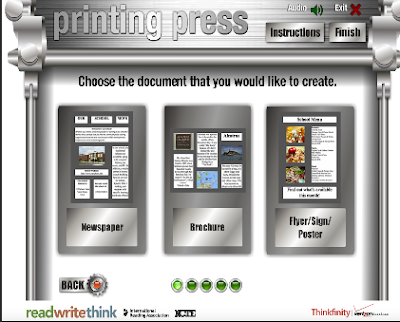 Printing Press, from ReadWriteThink, is one of the most popular web tools for creating classroom newspapers, informational brochures and flyers to use in your instruction. It has been designed specifically for K-12 students to help them unleash their creative writing and engage in multimodal literacy activities.